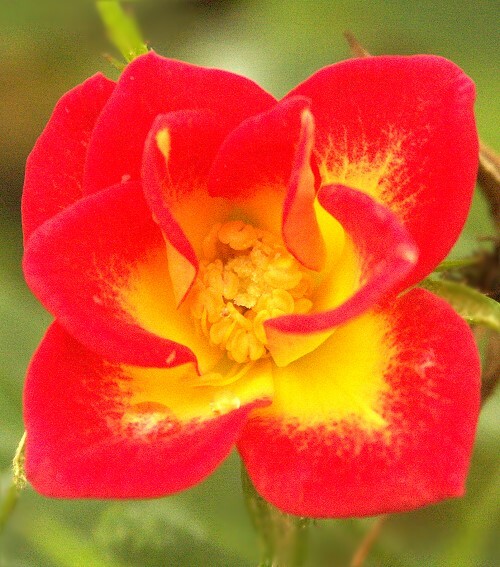 Why Not Miniature Rose was introduced by Ralph Moore in 1984. Why Not makes one of the most impressive displays when it blooms in the spring. 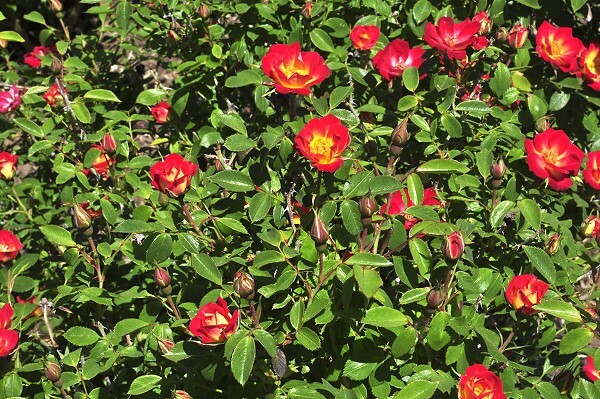 The bushes are covered with single 1 to 1 1/2 inch roses with outer edges that are a vivid reddish orange with a striking yellow center. 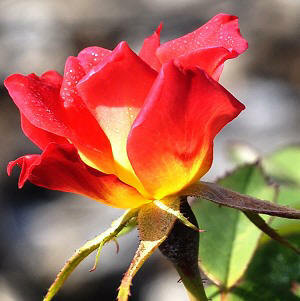 It is one of our favorite roses. 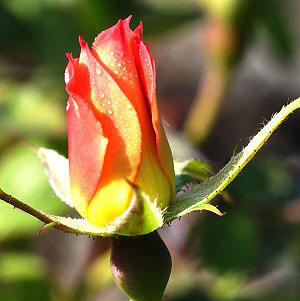 Why Not makes miniature rose hips after blooming. Rose hips are high in Vitamin C and make a tart tangy tea.